Ralph Waldo Emerson was a famous American lecturer, philosopher, essayist, and poet. He was one of the leading figures of Transcendentalist movement. 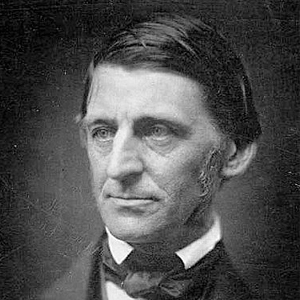 Together with Henry Hedge, George Putnam and George Ripley, Emerson founded the idea of Transcendentalism. He was considered as one of the greatest lecturers of his time and had given more than 1,500 public lectures across the US. His essay collections were his most significant contribution to American intellect. Some of the important essays covered in these collections including Self-Reliance, The Over-Soul, Circles, The Poet and Experience that gave an impression of his thinking process. He wrote on many topics such as individuality, freedom and the man’s ability to realize anything. For his lecturing and orating skills, Emerson became the leading voice of American intellectual at that time. His works influenced many thinkers and philosophers including Walt Whitman, Henry David Thoreau, Friedrich Nietzsche and William James.